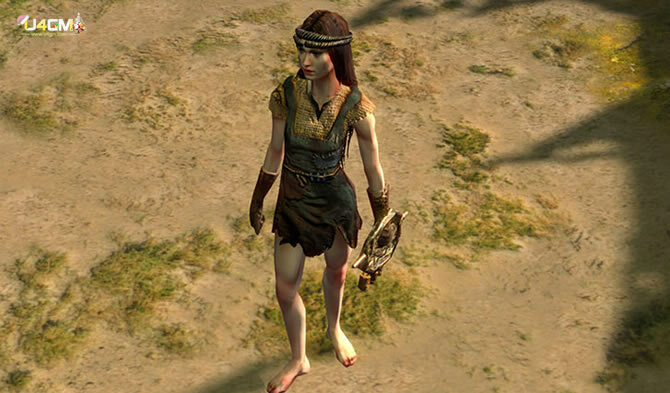 Do You Need Some Powerleveling Advice In Path Of Exile? In Path of Exile, I found some powerleveling advice that I want to share with you. While leveling, alternate between using quicksilvers so they both refill at all times. Try to always have flask charges up by killing large packs and blues. Rares are generally are not worth any extra effort over a single blue monster since you don’t need much gear when powerleveling. Do tidal island if you need the quest gem reward otherwise rush to The Submerged Passage and drop a tp when you get to the bridge. Get to ledge WP and take your tp from town back and kill the dweller. Skip Fairgraves unless you find the ship and waypoint / fairgraves right away. Look for breaks in the road, there will be a slightly less visible road that doesn’t show on the map that will lead you to wetlands in The Riverways and another one in the Western Forest that will lead you to Alira. I tend to start by going left in town but I’m not sure what’s faster. Skip Felshrine but do everything else. Just do all quests. Skip Library unless you need fortify for Kitava. When you get to Crystal Veins wp do normal lab. You should be around level 33 at this point while normal lab is level 35. You’ll get full xp doing the lab and should be around 35 when you finish as the packsize in there is crazy. Do kaom first if you have fire res or Daresso if you have armour and cold res. Get the Miasmeter in The Control Blocks on your way to the first boss, it will save you a lot of time later. Skip Kitava’s torments and Utula after killing innocence and go straight for kitava. Full clearing Twilight Strand is worth it so that you can buy all gems you need without logging over to other chars. Tidal island has nothing. Skip Abberath and Ryslatha and do them later when you get to the brine king’s reef. Quest as usual but don’t take Greust’s necklace from Helena after killing him. It can’t be deleted and will be in your inventory until you complete the mission. If she offers it to you then close down her window. Skip Gruthkul if you’re not very strong when you get to her hole or you’re very experienced with her fight. After killing Doedre in the sewers go to the right to The Quay. Going left is a giant waste of time as it has poor xp gain and you have to do a quest in The Quay later anyway so go there and be sure to remind yourself to pick up the Ankh as it’s easy to miss and early in the zone. Leave Yugul in the High Gardens for later. You can now grind Blood Aquaducts if you want or continue through the story. Skip Queen of the Sands and the quest in The Foothills (killing a bull) but do everything else. The teardrop and the Ossuary quests are both respec points and should be skipped. Save Bannon then kill Innocence and farm until you’re around 68-70 in either Blood Aquaduct or The Desecrated Chambers. When you’re 68-70 go back and complete all skill point quests you left behind then do Merciless Labyrinth. Get to 72 then do Kitava.